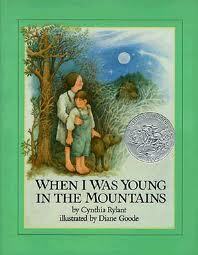 One of my earliest memories at a library was hearing When I Was Young in the Mountains, written by Cynthia Rylant and illustrated by Diane Goode, read during preschool storytime. The story itself did not make enough of an impression on me at the time that I remembered it well, but the picture on the cover of the brother and sister with their brown dog looking over a mountain scene is something I have not forgotten over 25 years later. In reading this book to my children I realized there were probably several reasons why I did not retain the content of this story, but feel that this can be different for my kids. First, the children in this book live with their grandparents and have a very close relationship with them which is something with which I could not relate to at that young age. Second, several topics, such as coal mining, the use of an out-house, and being baptized in a muddy pond, required more detailed explanations to young children than would be practical for a larger group of children. Finally, the thought of having a dead snake slung around the necks of 4 children for a picture is repulsing to me even to this day. In short, I still squeal at the sight of even the smallest snake. I hope that I was able to overcome some of these obstacles with my children so that they will be have more detailed memories of this book and may want to share it with their own children years from now. Pros: A great conversation starter about life in other cultures and times in the United States. A sweet look at family love. Cons: If you have a fear of snakes, take a deep breath about the middle of the book. 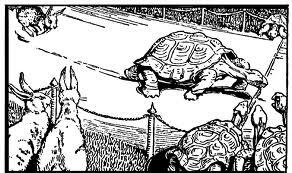 We recently finished reading a compilation of Aesop’s Fables. So much wisdom is packed into each concise story that we had to take reading this one slowly so I could make sure that my older girls really understood the meaning behind the stories. I knew for sure that at least something had sunk in thanks to my 4-year old’s responses to me when I fussed at her for dragging out her chores. She said, “Mom, slow and steady wins the race!” Her excuse did make me giggle! 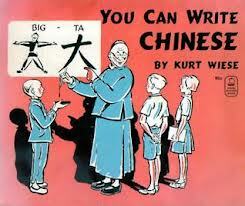 Pros: A group of stories that can be read in shorter spurts, so are suitable for a wide variety of ages. I enjoyed that every story is different – funny, sobering, or exciting – yet, they all teach a valuable lesson. Cons: After reading more than 100 pages of this book some of the stories started to sound alike. I found that I would skip to the end of each and review the moral to the story to see if it was overly similar to ones we had already read. 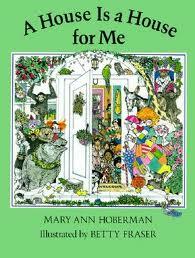 A House is a House for Me by Mary Ann Hoberman opened up a new way of thinking for my children. The premise of this book is that everything is a house for something else, everyone has a house of their own, and that the world is where we all belong. Thinking of earmuffs, books, and castles all as houses was intriguing and fun. We had a great time continuing to think of other houses and their occupants after we finished this book and during the entire family meal which followed! Pros: A fun way to teach children to look at the same item from various perspectives. Cons: One page discussed four types of homes used by Native Americans. While this was interesting and something I wanted my girls to learn, I did not like how it was presented. On the preceding page all of the home inhabitants mentioned are animals, while on the following page they are modes of transportation, and no other homes for humans are discussed other than on this page. To me this seemed to dehumanize Native Americans. Usually I can easily overlook this type of issue or see it as a view common in the era of the book, but not so in this case. Still, overall, this book is worth reading and this one page could easily be skipped. 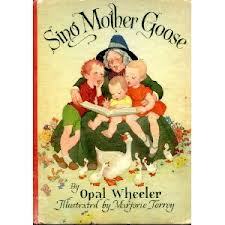 Sing Mother Goose, with music by Opal Wheeler and illustrations by Marjorie Torrey, takes the reader, or musician, through 52 common nursery rhymes. I was pleasantly surprised that I was familiar with most of these poems, but the tunes were not those that I grew up singing along with the rhymes. 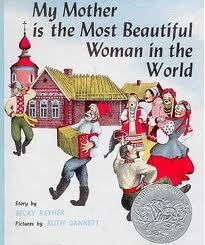 The darling illustrations in this 1946 Caldecott Honor book make this a worth-while book to check out. 1. “Excellence of execution in the artistic technique employed.” – The incredible detail and use of rich, varied colors in each illustration are remarkable. 2. “Excellence of pictorial interpretation of story, theme, or concept.” – Each rhyme comes to life with the help of beautiful illustrations. 3. “Appropriateness of style of illustration to the story, theme or concept.”- I loved the colors chosen for each specific poem. The sandy whites and browns for a rhyme about the seaside in comparison with pastel pinks, blues, and greens for “Curly Locks” helps the reader to remember the storylines even more. 4. “Delineation of plot, theme, characters, setting, mood or information through the pictures.” – The illustrations in this book easily communicated each of these literary components. 5. “Excellence of presentation in recognition of a child audience.” – While the musical scores were lost on my children, they did enjoy the amazing illustrations.